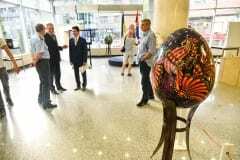 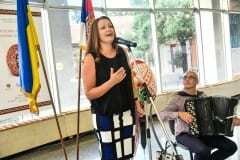 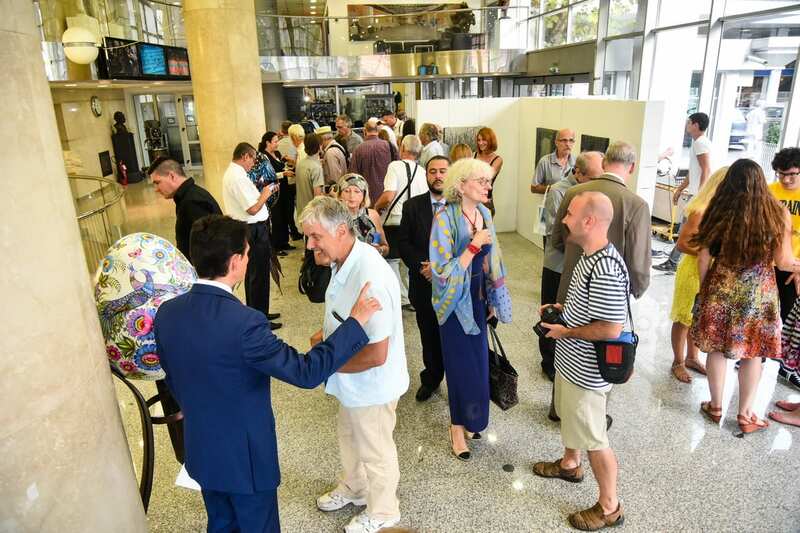 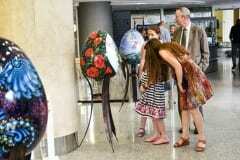 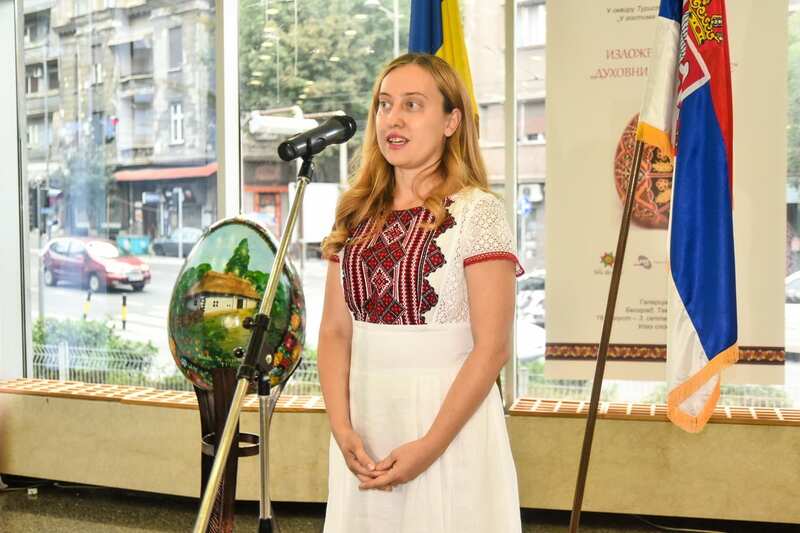 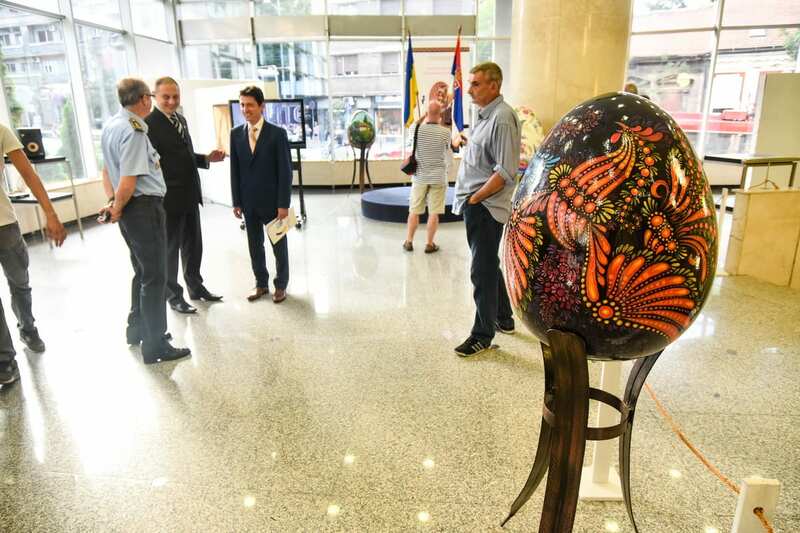 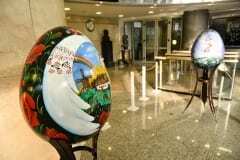 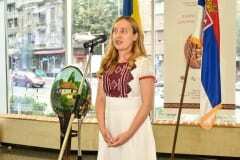 18.08.2016The exhibition “Spiritual Code of Ukraine” has opened at the RTS Gallery with a traditional setting of “pisanki” (large Easter eggs), as part of the Festival “As guests with the Ukrainians”, which is being organised by the Embassy of Ukraine in the Republic of Serbia in Belgrade in the coming days. 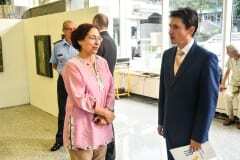 The exhibition was opened by H.E. 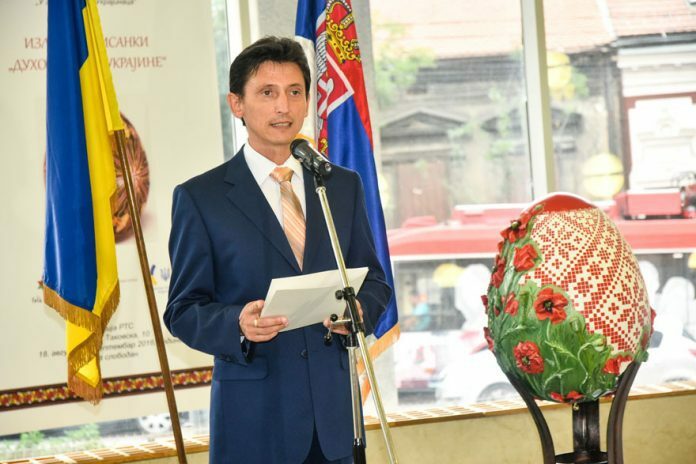 Ukrainian Ambassador to Serbia Oleksandr Aleksandrovych. 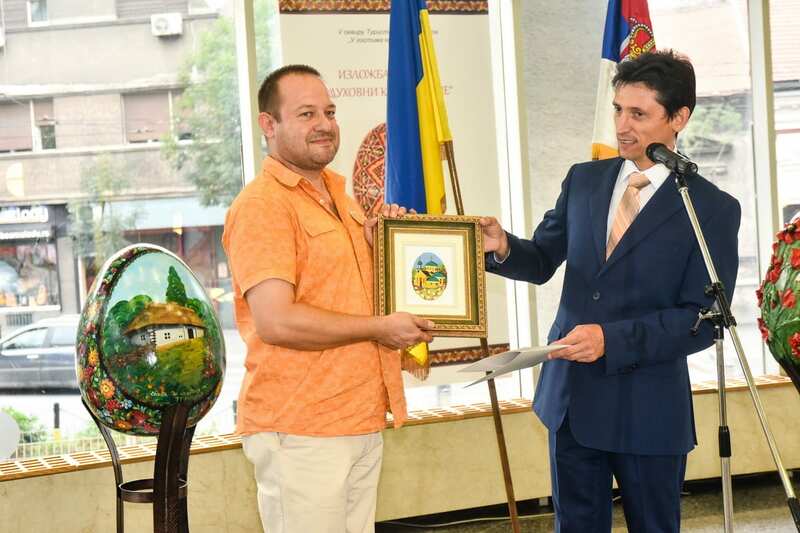 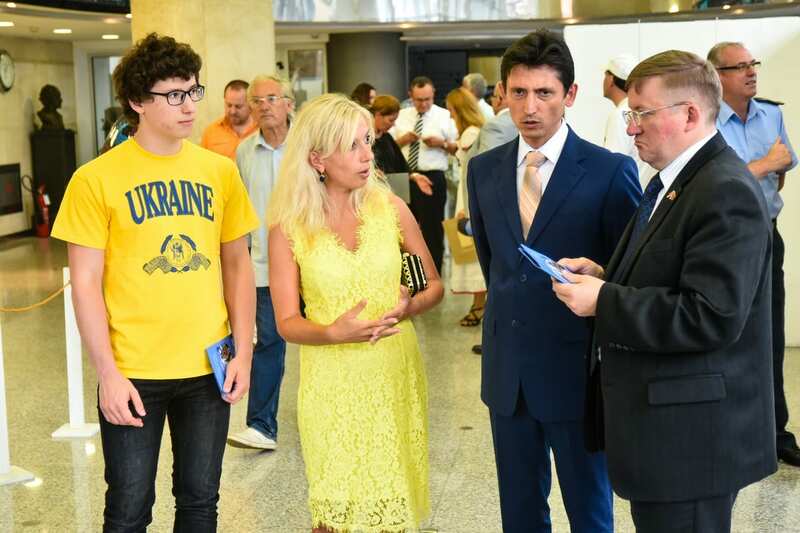 The organiser is the Embassy of Ukraine and the host is Radio Television Serbia. 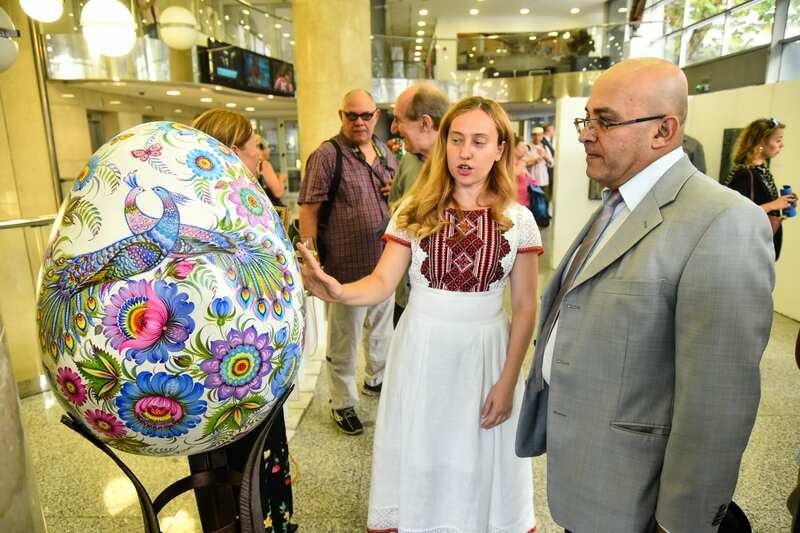 Decorating Easter eggs in Ukraine is a tradition that develops folk art and spreads the culture of this country beyond its borders.